In the history of the Hip-Hop, few artists have had as great an impact on the development and progression of the art forms lyrical style as Rakim Allah. Universally referenced as one of the Masters of the Microphone and an influence and inspiration to his peers and followers alike, Rakim first exploded onto the scene with the release of iconic Eric B. is President in 1986 with long time collaborator Eric B. The single marked a turning point in the Rap world – raising the bar for future emcees and revolutionizing the way rhymes are delivered to this day. No serious discussion of the music’s greatest performers is held without a deferential accounting of his achievements, and no serious rap artist grips a microphone without channeling some of his legend. 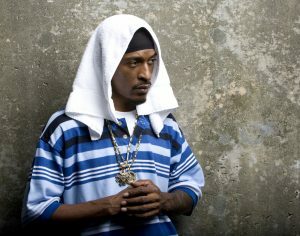 Rakim’s intricately intellectual lyrics draw their force from his worldly experience, inner faith and progressive contemplation; his liquid and seemingly effortless delivery – often imitated but still unrivaled – from a fire fueled by a deep understanding of not just Hip-Hop, but also the Jazz and R&B influences that have surrounded his family since his youth. His recordings – including the all-time classics Paid In Full, Follow the Leader and The 18th Letter – have sold in the multi-millions worldwide. Billboard, Rolling Stone, MTV and a host of others consistently refer to Paid in Full as “the greatest Hip-Hop album of all time” – a claim that often repeated in audience polls. These Platinum albums line the walls of the Broadway, MCA and Universal labels and, with a Rakim appearance near guaranteeing an explosion of sales, he has been recruited to add his star talents to projects for Alicia Keys, Jody Watley, Damian Marley, Jay-Z, Dr. Dre, Mobb Deep, Lloyd Banks, Limp Bizkit, Gang Starr and Truth Hurts among many others. 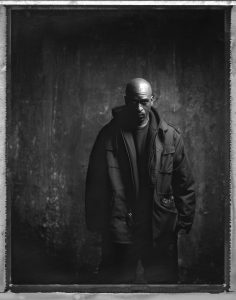 Rakim’s uncanny innovation was the focal point of the critically acclaimed recreation of Bob Marley’s Concrete Jungle and has helped propel movie soundtracks such as Juice, Brown Sugar, the Rugrats, American Psycho and 8 Mile to Best Seller status. His role model status has led world famous brands such as Reebok, The Coca Cola Company, LVMH, Ecko and Sean Jean to choose him as spokesperson. Now nearing twenty-five years at the top of Hip-Hop’s Greatest list, the Long Island, NY native not only continues to record for himself, but also works with young artists signed to his own record imprint, Ra Records. 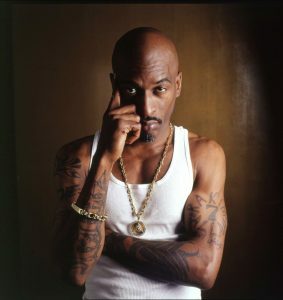 With recent tributes in 2012 such as being named the #1 Lyricist of All Time by The Source magazine, receiving the coveted BET Lifetime Achievement Award and being nominated to the Rock and Roll Hall of Fame, two original music projects, his first feature film role and sold-out international tours keeping the world’s eye on the one many call The GOD EmCee, Rakim Allah continues to lead where others just follow.